Following a back to back update from China's Zol, there is some leaked details on the about to be released Samsung Galaxy Note 7 Edge. Shocking reports reveals that Samsung is warming up for Galaxy Note 7 Edge with dual-Lens, this new technology is being developed in SEMCO. SEMCO is one of Samsung's brands. Further leaked secrets reveals that the Galaxy Note 7 Edge camera would be using the sensor from Samsung's action camera as this apparently puts it clear that Apple may be in for a bigger surprise this year following their soon to be released iPhone 7 series. As you know, Apple will launch iPhone 7 series this year, probably at the same time as Galaxy Note 7 series. The Apple iPhone 7 Pro could also sport dual-camera. 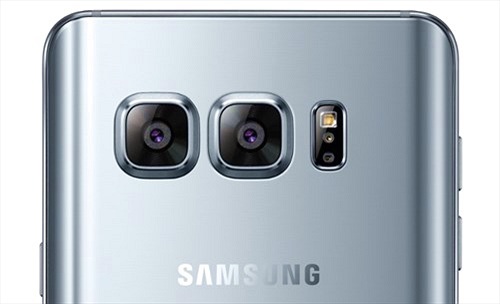 However, the Samsung Note 7 Edge camera is expected to be better than its rival thanks to folded telephoto mechanism. With this new technology, the Samsung Note 7 Edge camera will get a great optical zoom capability. The Galaxy Note 7 Edge is expected to come in the later half of 2016, probably in mid-August. Until now, we don’t have the official information about Samsung galaxy Note 7 Edge price. However, it’s is hinted to cost around $850-1200. Let’s wait and see! Would you be going for this gadget when it is released? lets see whats up!!!! What do you think about this? Share your ideas in the comment box below. Hey this galaxy note 7 aren't the ones that explode battery? Nonetheless, I’m certainly happy I discovered it and I’ll be book-marking it and checking back regularly!